If you are into food and restaurants this is a much need APP you must have. I highly recommend it. You will see several of my favorite dishes I posted in this app. And more to come! 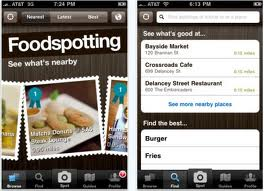 IT’S ABOUT DISHES Discover nearby dishes, find whatever you’re craving & see what’s good at any restaurant. IT’S VISUAL It makes finding good food as easy as looking in a bakery window. IT’S POSITIVE Keep track of the dishes you try and vote up the dishes you love. IT’S PERSONALIZED Bookmark dishes you want to try and hide the ones you don’t. IT’S SOCIAL See what friends and experts, like the Travel Channel, Unofficailrestaurantreview.com love wherever you go.